Two thirds of Dubai apartments saw price rises in the second quarter of 2017 compared to the previous three months, according to a new report. The Q2 real estate review issued by consulting firm ValuStrat also revealed that villas in Dubai saw most of the declines during Q2. As for office space, capital values remained relatively stable on both a quarterly and annual basis, the report said. Overall residential capital values remained 14.3 percent below their 2014 peaks while office prices were 6.5 percent lower than the same period two years ago, ValuStrat added. The second quarter 2017 Residential VPI (ValuStrat Price Index) displayed an overall 1.2 percent annual decline in values. Compared to the first quarter, two thirds of the apartment sub-market witnessed growth. The report said that International City had seen rises of 13.2 percent since early indications of price recovery were reported 15 months ago. Downtown Dubai excluding Burj Khalifa (9.8 percent), Motor City (12.3 percent), and Discovery Gardens (10.1 percent) have also seen healthy increases in the same period. 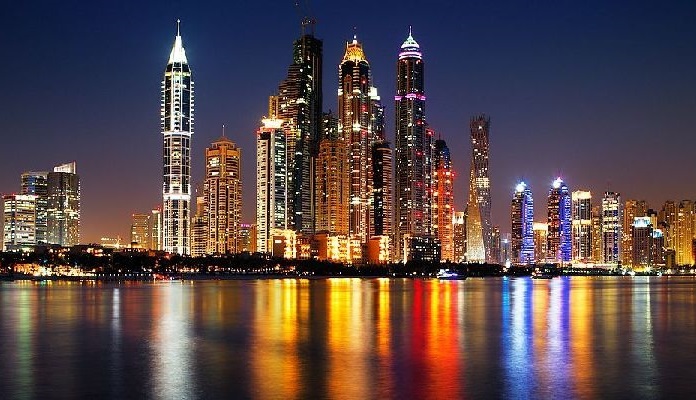 The highest capital declines for the same period have been seen in Dubai Marina (-5.7 percent), Jumeirah Lake Towers (-9.6 percent), Dubai Sports City (-7 percent), Al Furjan villas (-5.7 percent), and Jumeirah Islands (-5.7 percent). During Q2, 64 percent of overall residential transaction sales volume was off plan, the report noted. Residential investment yields have compressed by four basis points since the beginning of the year, as market rents for the first half of this year were 7.7 percent lower than last year, it added. This year’s new supply of residential apartments and villas is estimated at 25,000 units, 28 percent of which have been completed. Many projects previously delayed from the past 18 months are either completed or expected to deliver this year, ValuStrat said.